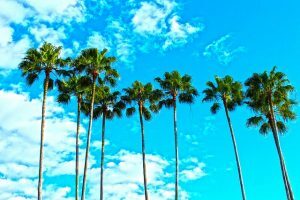 Home » Moving to Florida – how to prepare? Moving to Florida has its own advantages. If you have already decided to move to Florida then now is the time to prepare. And we will help you do it quickly and hassle-free. Depending on whether you already have a job waiting for you or not, it is wise to choose the place you will live in. Because Florida is big and it is not everywhere the same. Actually, it can be quite different depending on the place. For example Naples, a small town with a slower paste of life. It is a great choice if you are looking to buy a home at average prices. There are sandy beaches here as well. It is excellent both for shopping and relaxing. Thanks to the weather there are great outdoor activities. Another good choice is Orlando. Orlando is a big city and has a lot of neighborhoods, 115 of them. Rentals are not so expensive here. Actually, it is one of the best deals in Florida if you like to live in a bigger city. Tourist love Orlando, so get used to it if you want to become a resident. Fort Myers is one more popular place to live in Florida. It is most popular with retirees. But it is one of the best cities to live in America. It has also excellent weather, great golf courses and it is quite affordable. Anyway, there is a large choice and they all have a lot in common. Nice warm weather everywhere you go, a lot of outdoor activities and a lot of tourists. Moving to Florida means moving to Sunshine state with miles and miles of white sandy beaches. Sign me up, please! Key Biscayne – is one of the priciest towns. Key Biscayne is considered the most expensive neighborhood in Miami. Palm Beach – is a home of many celebrities. Besides it is an expensive place to live it is also not the safest one. If you are moving to Florida, you should consider that as well. Coral Gables – it is expensive if you are buying a property. It has excellent schools, hospitals and because of its luxury, it is usually on every “the best place to live in” list. It is one of the wealthiest cities in America. Key West – is an island and city with a rich history. It is not a type of place for regular working people to live in. If you are looking for a place for an average income then this is not it. Miami Beach – excellent entertainment and nightlife. Miami Beach also offers a variety of top restaurants, some of the best beaches that attract many tourists. Although it is famous for its nightlife and parties there are options for families as well. Moving to Florida – how to get around? If you are moving to Florida without your car, you can count on public transportation. Public transportation will be useful for small or short trips in the city limits. There are buses and trolleys. In a lot of cities, you can find bike sharing programs. The best way to get around Florida is by car. Of course, the best and the most practical way to get around is by car. If you are moving to Florida with your car, be sure to check and prepare it first. Also get the insurance, not only for your car but for the stuff that you are moving as well. How to prepare for Florida weather? First of all, you are moving to Sunshine State so make sure that you prepare a lot of sun protection. Moving to Florida is literary moving to the Sunshine State. Many people say that it is too hot in Florida. But it has advantages, you need that kind of climate if you want to live near the beach. This is the way to spend as much time as you can outdoors. Always carry a water bottle with you. There is also a downside to Florida weather and that is the unpredictability. There are a lot of thunderstorms and hurricanes. The hurricane season usually starts in June and it lasts till November. This is also a time with the most rain. So if you carry an umbrella with you, you will be ok at least during the rainy season. If you are moving long distance or locally and you are still in search for the new place than be sure to have some storage solution. It is always the best if you are hiring movers to see if they already have storage space that they can rent to you. This way you will avoid clutter in your new place and will have time to arrange peacefully. 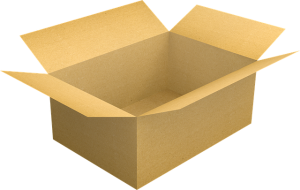 Check if your moving company also provides a packing service. When you are moving long distance, you have to make sure that you have chosen the right movers for this job. It is the best solution to hire professionals from Florida. Also, check if they can do packing or at least help you with packing. If you are moving to Florida from far away then packing is very important so your items will survive in one piece this long ride. The last, but very important is a job. If you already have a job waiting, then good for you. But if you are moving to Florida without a job, know that there is a good offer of jobs in the tourism industry. Because Florida is at the top of the tourist list, the tourism branch is understandingly the easiest for finding a job. Besides tourism, there are a lot of jobs in agriculture. Climate is convenient for this industry so many of the residents work in agriculture. Anyway, moving to Florida will surely secure a lot of days outdoors in the sun. 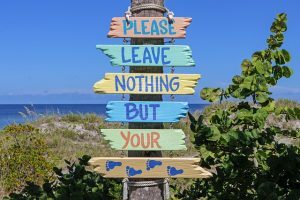 Moving with your kids to Miami – what’s to know?